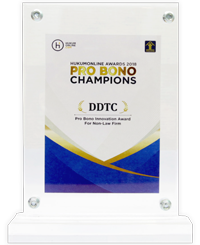 One of DDTC’s mission is an educational mission. The mission is embodied in the form of Memorandum of Understanding (MoU) with well-known universities in Indonesia, including the University of Indonesia, Brawijaya University, Gadjah Mada University, Diponegoro University, Airlangga University, Sebelas Maret University, STIAMI Institute, Maranatha Christian University and Muhammadiyah Sukabumi University . 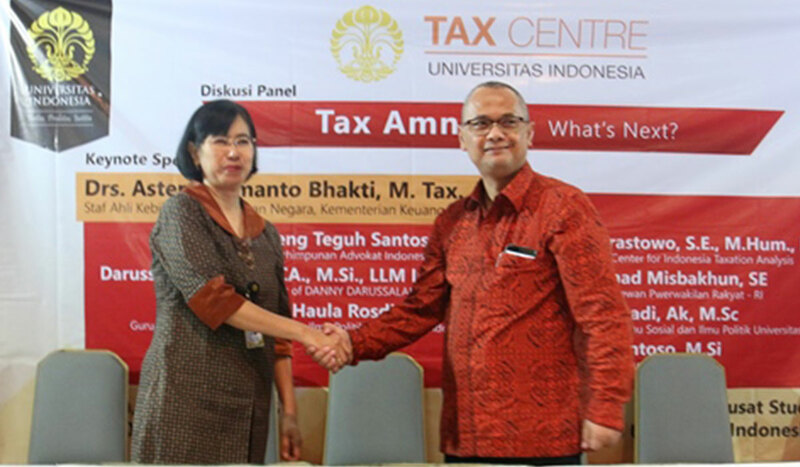 Dean of the Faculty of Economics and Business Diponegoro University, Suharnomo (right) and Managing Partner DDTC Darussalam (left) after the handover of MoU. 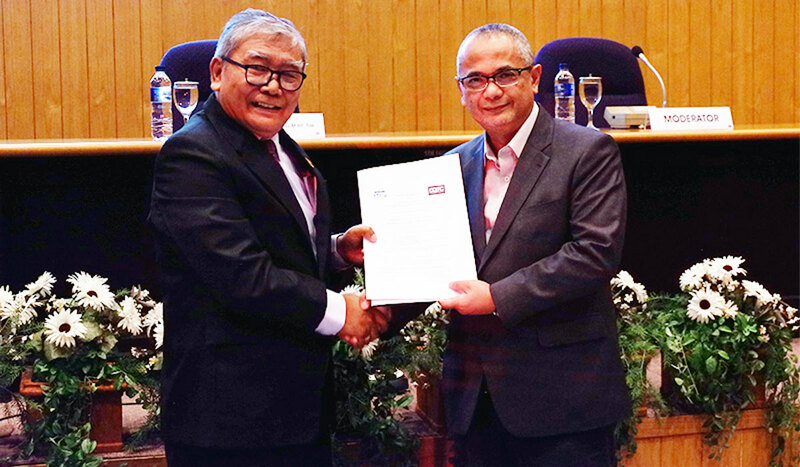 Dean of the Faculty of Economics and Business Gadjah Mada University, Prof. Wihana Kirana Jaya (left) and Managing Partner DDTC Darussalam (right) during the handover of MoU. 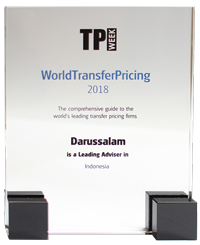 Managing Partner DDTC Darussalam (left) and Rector of Brawijaya University (UB), Prof. Nuhfil Hanani (right) exchanging the MoU. Dean of the Faculty of Economics and Business Airlangga University (UNAIR) Dian Agustia (second left) and Managing Partner DDTC Darussalam (second right) exchanging the MoU. 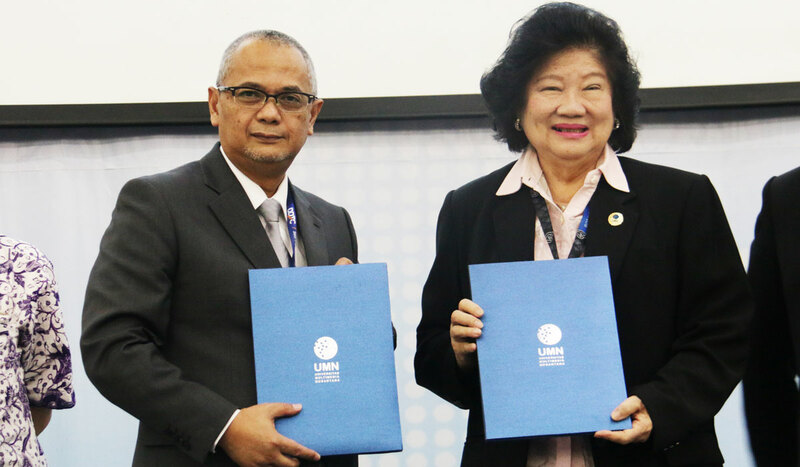 Vice Dean for Resources, Ventura & Public Administration, Faculty of Social and Political Sciences, the University of Indonesia (UI) Titi Muswati (left) and Managing Partner DDTC Darussalam (right) during the handover of MoU. 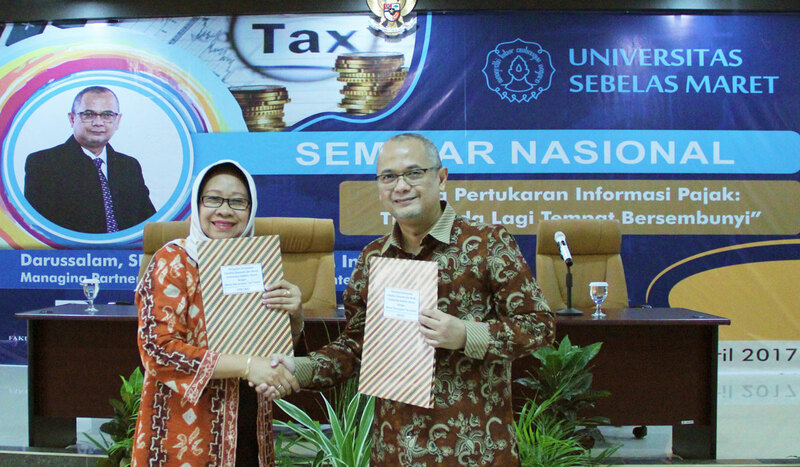 Dean of the Faculty of Economics and Business Sebelas Maret University Hunik Sri Runing Sawitri (left) and Managing Partner DDTC Darussalam (right) during the handover of MoU. 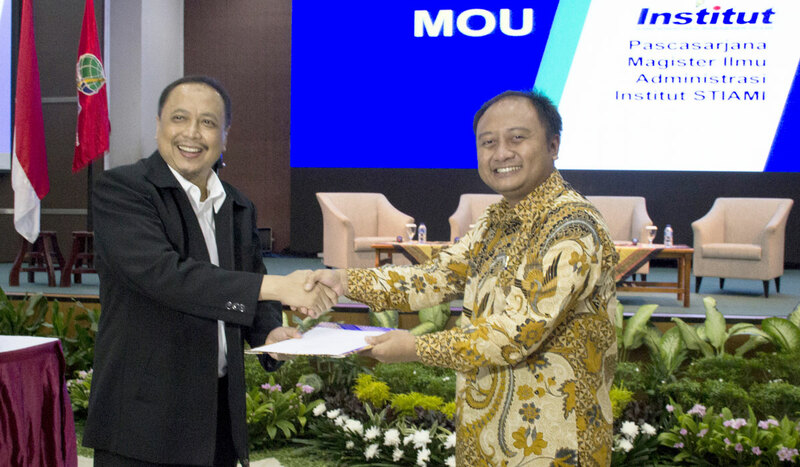 Rector of Institut Sekolah Tinggi Ilmu Administrasi Mandala Indonesia (STIAMI) Panji Hendrarso (left) and Partner DDTC Bawono Kristiaji (right) exchanging the MoU. 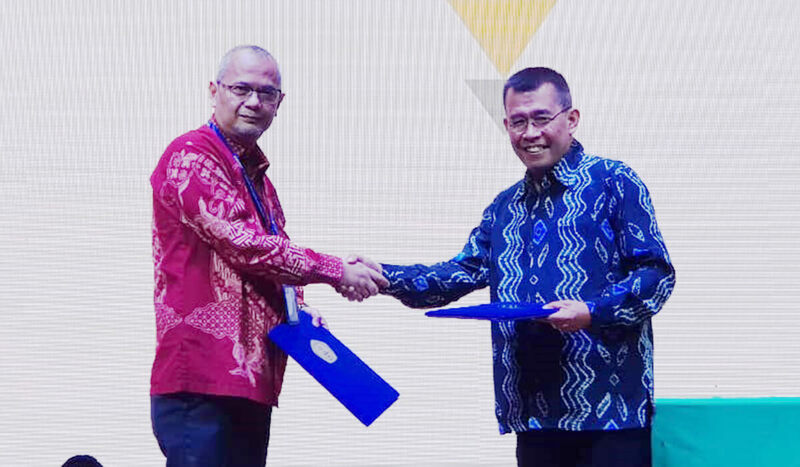 Managing Partner DDTC Darussalam (left) and Dean of the Faculty of Economy Maranatha Christian University Mathius Tandiontong (right) exchanging the MoU. 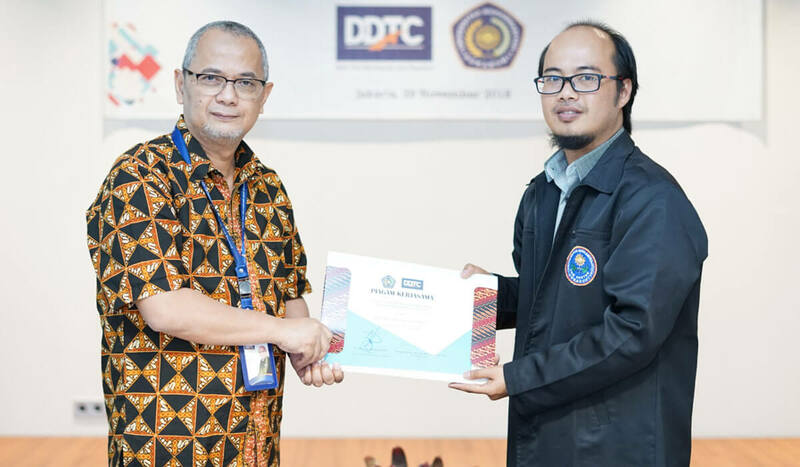 Managing Partner DDTC Darussalam (left) and Taxation Diploma Study Program Lecturer of Muhammadiyah Sukabumi University (UMMI) Ismet Ismatullah (right) exchanging the MoU. 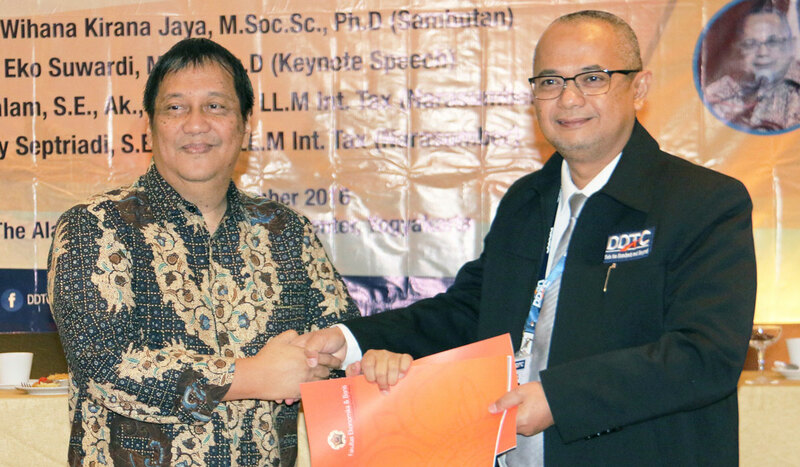 Managing Partner DDTC Darussalam (right) and Head of STIE YKPN Yogyakarta Haryono Subiyakto (left) during the handover of MoU. 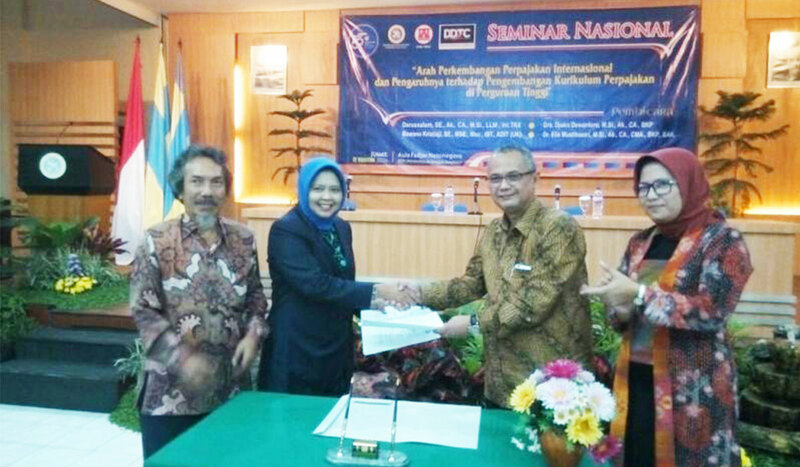 Managing Partner DDTC Darussalam (left) and Vice Rector Multimedia Nusantara University Muliawati G. Siswanto (right) exchanging the MoU.